A comparison of patient volumes year over year at Comfort Community Hospital is showing a steady dramatic increase. In 2012, we treated 22,251 patients, in 2013 we treated 34,354 patients, and in the first half of this year we have already treated 33,484 patients. 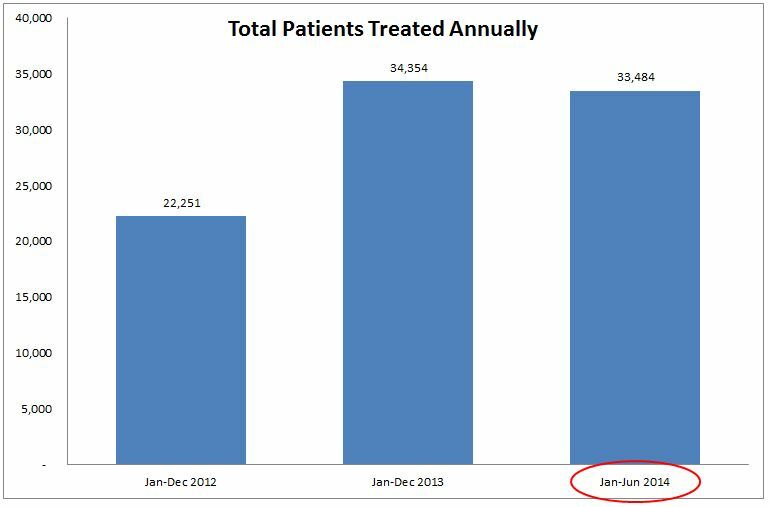 That means that in the first 6 months of this year, we have already treated almost as many patients as we did last year! This entry was posted in Health Care, News from Malawi and tagged Comfort Community Hospital, Jill Claus, outpatient. Bookmark the permalink.